Are you doing a good job as a charity trustee? Well then, you’ll surely have these seven critical ingredients of charity governance in place already! Appraisals for staff are common-place and need no justification. Individual trustees and trustee boards are no different. Objective evaluation of a board of trustees should happen once a year. Anyone arguing to the contrary is either complacent or reluctant to face the truth! An essential of strong governance. No-one wants to break up a good team, but no-one should be an office-holder or a trustee beyond their sell-by date. Test your board by envisaging 1-year, 3-year or 6-year terms of office. Obviously too short, obviously too long; there is no “one-size fits all”. But formal terms of office are a “must” – make sure your governing document includes them and your board sticks to them. Funding can be a perpetual worry but endemic financial insecurity may be the death-knell of a charity; strategic thinking becomes impossible. Establishing a variety of sustainable income-streams is a prime trustee responsibility, backed by a realistic reserves policy and hard-nosed annual risk assessments. If your objects are worthwhile and your team is dynamic there will be funding to be found. Seek it out. “Meetings-only” trustees are not properly engaged. They must get know the staff, meet the beneficiaries and the sponsors, get their feet under the table and identify with the work of the charity. It is the chairs’s job to create this engagement and to enhance trustee relationships. “Wine is an underrated aid to good governance”. Trustees are about formulating policies not implementing them. That’s the function of the executive staff employed by the trustees. Distinguish interest from interference. Proper boundaries and mutual respect are fundamentals to successful governance. Recruit trustees on a systematic basis without reliance on the social networks of present members. Use internet and social media advertising to gain age, experience, gender and ethnic diversity. Keep the trustee board up to the mark by setting and spending a trustee training and development budget. Require professional CPD training standards to avoid “unpaid” being synonymous with “amateur”. How does your charity shape up? So, congratulations if you can already tick all seven of these off. Take the trustee quiz next for further inspiration. 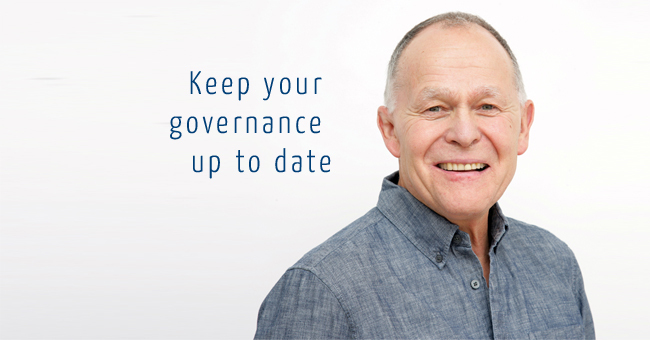 And if you’d like any help with beefing up your governance, don’t hesitate to get in touch, or to book your charity’s Trustee Pit Stop training session. With gratitude to John Williams, vice-chair of the Association of Chairs, for some of the ideas behind this article.